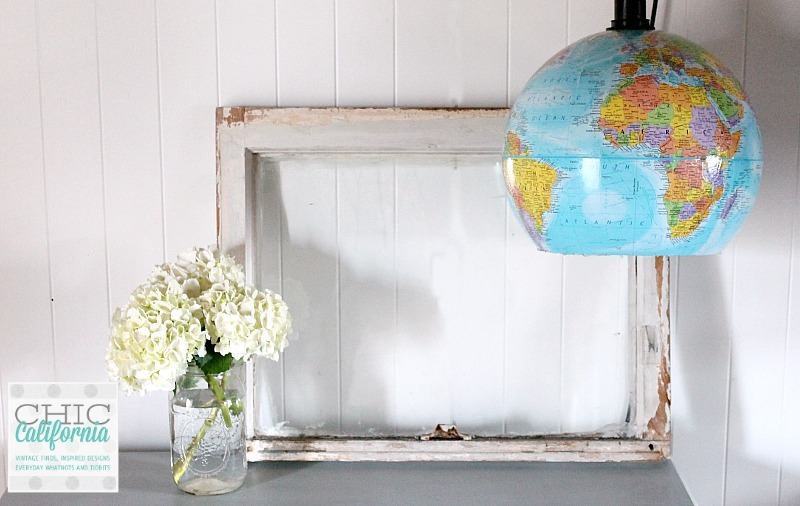 By now you should all know that I love collecting and decorating with globes and maps. I think there is something so cool about them. And as a bonus the colors usually match my decor. 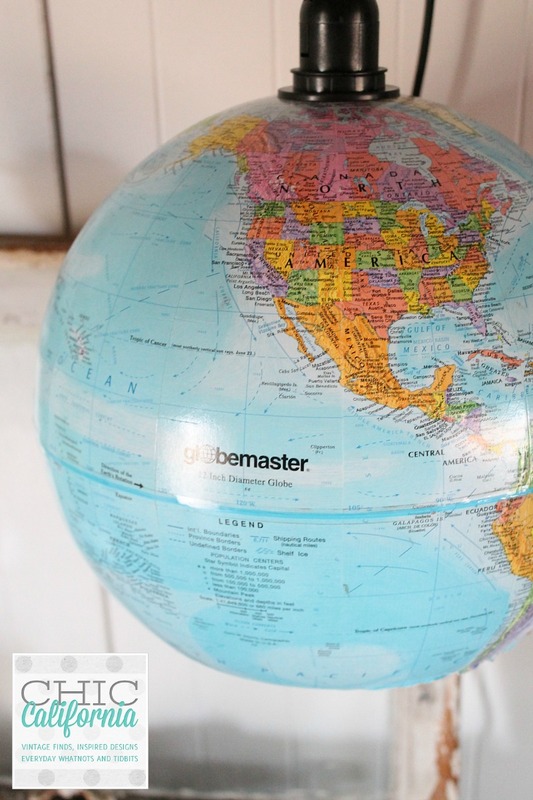 I can’t resist picking up globes when I find them at garage sales and thrift stores. They are super inexpensive. In fact, I gathered a few too many and I needed to sell a few in my retail booth. But of course I had to get crafty. Now what I’m about to show you isn’t an original idea, it’s been done before. 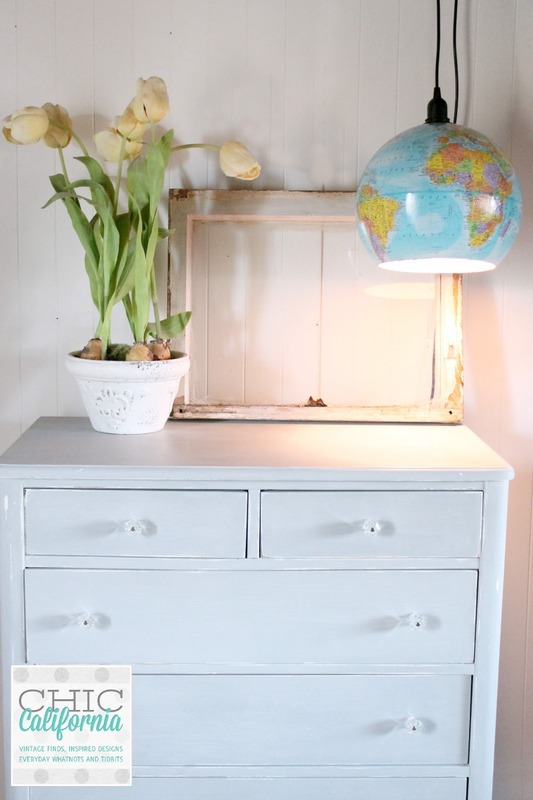 But it’s seriously is one of the easiest thrift store projects ever. 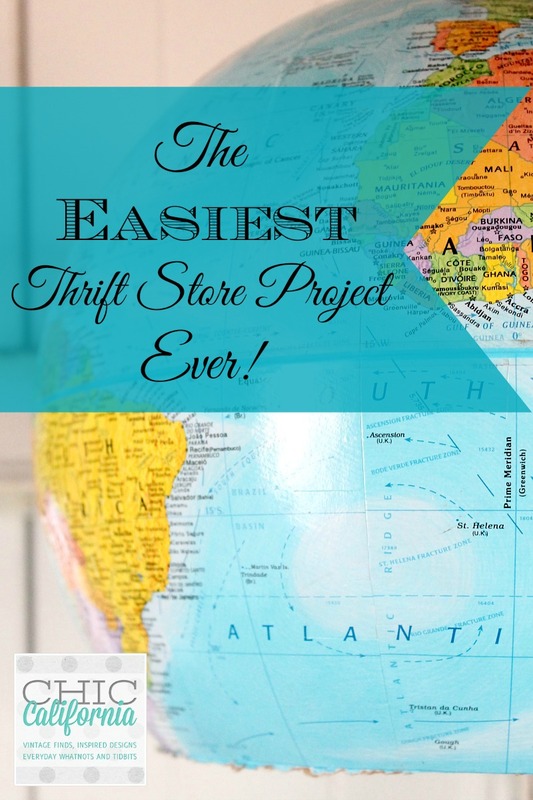 It’s a great project for someone just getting into thrifting or if you are not super crafty. You can do this project! 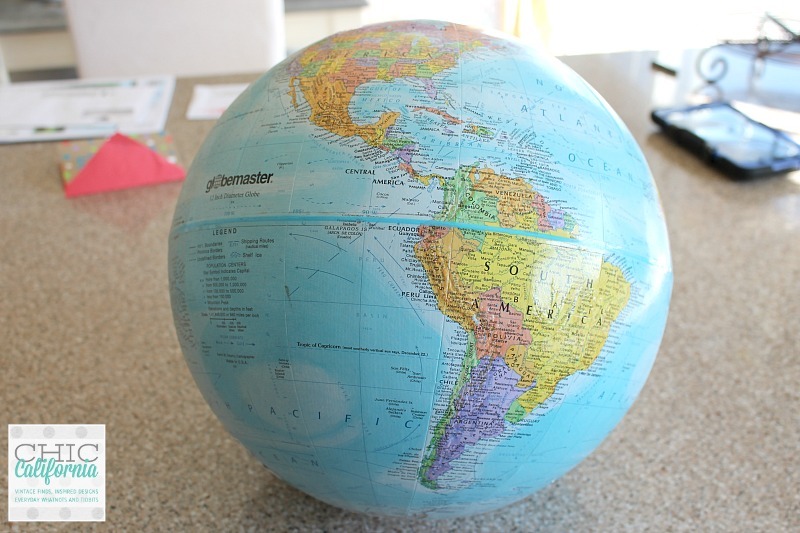 I found this globe for 99 cents at the thrift store. That’s even cheap for a thrift store. It was just the globe though, no stand. So if you find one still on the stand thats ok. You just need to pull the globe out from the stand. Which just takes a little muscle. 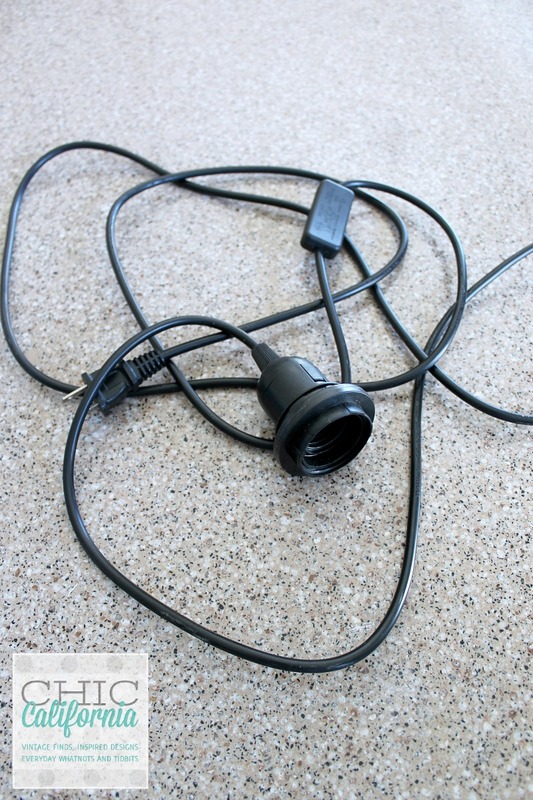 You’ll need one of these plug in cord adapters. You could always hard wire this if you are extra handy. 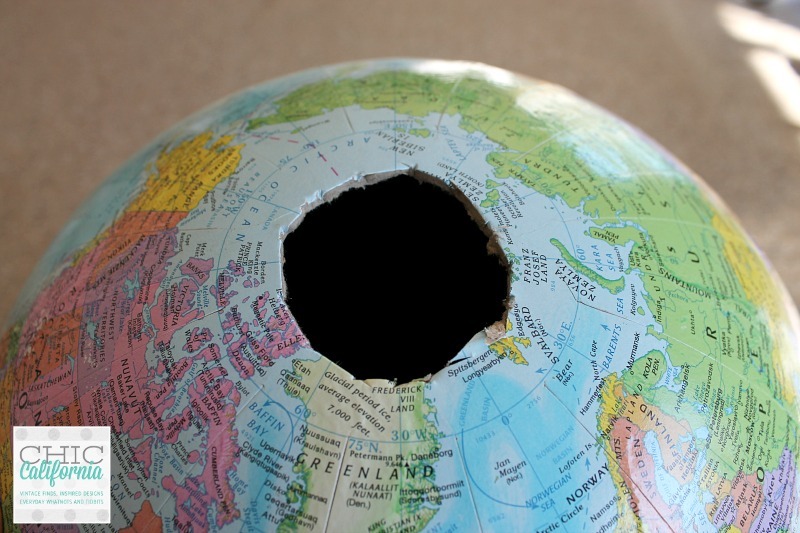 Cut a small hole in the top of the globe to accommodate the outlet. 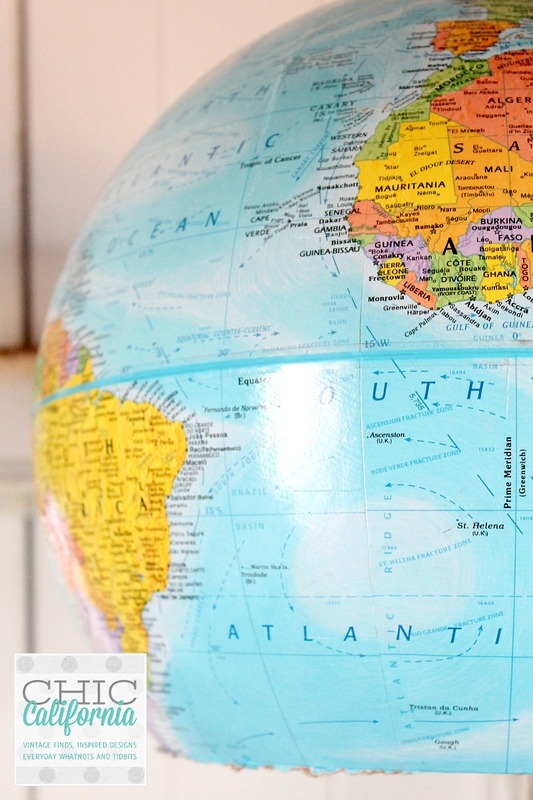 There is a round metal support in the top of the globe that you will want to cut around. The cardboard isn’t that thick so a serrated knife will work. Cut a larger hole in the bottom to let the light out. I have made these before where I cut the globe in half and make 2 lights. But I have found that no one wants to buy just the southern hemisphere! So this time I used the whole globe. Sorry Antarctica. And that’s it! How simple and easy is that? 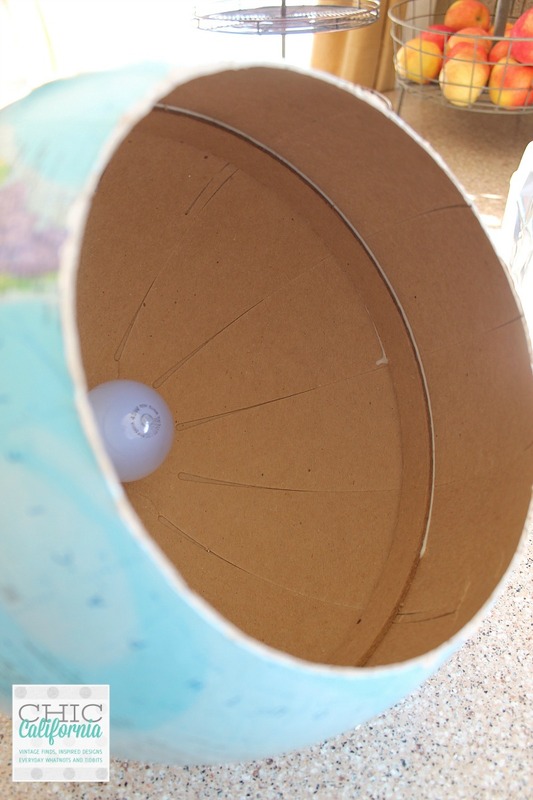 Your bulb will be pretty far away from the cardboard of the globe but I still used a relatively low wattage bulb. This is a great accent light or maybe a reading nook light. This would make a great gift for teacher to hang in her classroom reading nook. 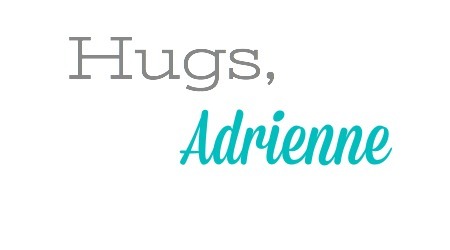 PS I’d love for you to share this post on Facebook or Pinterest! This is awesome. I need to watch for globes at thrift stores. My brother had a globe that lit up from the inside and showed the countries. It was made of plastic. I thought at first that was what you were going to make, and I was wondering how that would be possible with cardboard. This is a great idea and now I’m going to look for more ideas with maps within your blog. I like maps and would like to use one for decorating. Where do you find the light adaptor? Excellent idea!! I found mine at ikea. But you can get them online too. Or I have seen them recently at World Market too.